I can almost hear my mom now. “She said her midterm was on Thursday, why isn’t anything up yet?”Poor Mom. 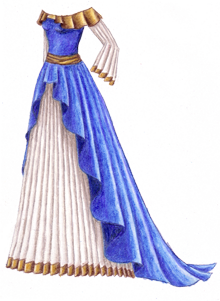 ;) This is just an update of one of my old Boutique fantasy gowns. This was one of my favorites; there was something about the blue that I liked. I still remember which blues I used originally (ultramarine and Copenhagen blue)… but arguably I was better at doing gold back then. Check it out, University of Texas has a paper doll collection. They have a few dolls and outfits online, too, representations of women who donated to the accompanying textile collection; I totally dig December’s Christmas tree dress. Beautiful gown. I’m glad you’re back ~ you were missed…. I believe that you will, one day, be in that collection of paperdolls. The new dress is so beautiful. Thanks for posting the original. You’ve skills have evolved so much since you were, what? 17-18? 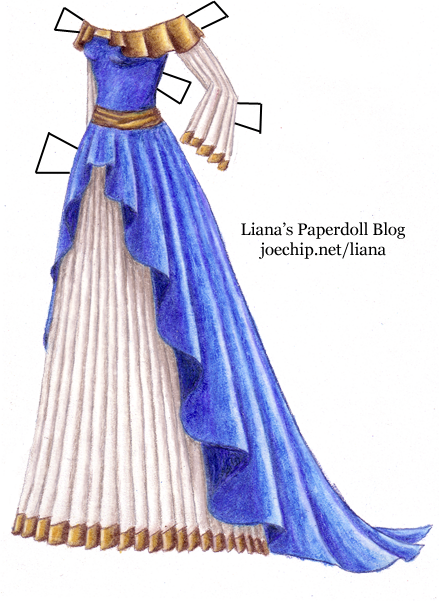 I was searching internet for interesting dresses and costumes, trying to find how would I do my theatre play in autumn, only to mix colours and put it in a style I see in the text. I can say that I am impressed with your work. It/s very colourful, with taste, and pretty for the eye. Everything I want to see on a lady. Have you ever done anything like designing costumes for a theatre play? There’s a dress similar to this one on Zwinky; the only difference is that it has glitter on the sleeves. Love the dress! I love to write, so I will say that it, “Streaks across several ages of time and fashion.” What I mean by that is that it has several different cultures and times mixed in with it. 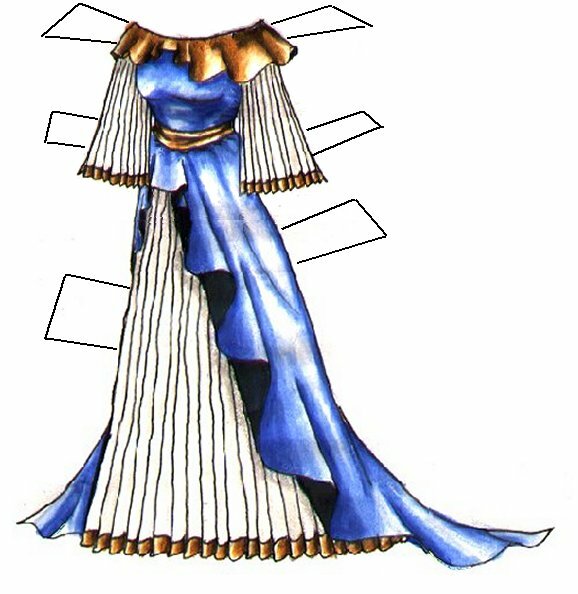 The underskirt and gold trim is somewhat Egyptian, and the purple is more fantasy-like. Very creative, keep up the great work! Let me start off by saying this dress is beautiful. Liana, I’ve recently found your blog and it has become my new favorite website. I absolutely love writing and want to be a writer when I get older. The drawings you make have given me so much inspiration for costumes as well as new stories. As I’m working on a sort of darker fairytale right now, there’s been plenty inspiration! So I just wanted to say thank you and I hope you post much, much more!